Leann Zurmuhlen is a student at California Lutheran University who is currently studying for a degree in Communication. In college, any occasion that can be celebrated is celebrated with alcohol. It’s just reality–and Halloween is no exception. It seems natural that as we outgrow trick-or-treating we progress into the next big social activity: partying! And while I know that it my classmates probably began drinking at Halloween parties as early as High School–or even younger–it wasn’t an open, accepted fact until I got to college. Students would talk about their plans all week–to professors, no less! Drinking on Halloween is so ubiquitous that Googling “alcohol and Halloween” garners millions of pages, most of which are recipes and party games. Here is where I go into Debbie Downer mode: at my time of writing, the very first result when Googling “alcohol and Halloween” is a news article which discusses the alarmingly high pre-Halloween arrest rate in one Ohio college town. In one weekend, around 45 people were arrested for alcohol violations at a party the weekend before Halloween1, and I can only imagine that few things ruin a Halloween party more than being arrested. The risks run deeper than that, too. 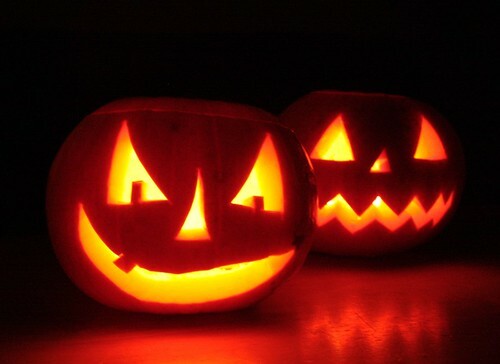 On Halloween, even when it falls on a weekday, it is estimated that alcohol consumption increases by 20%–and a lot of that can be attributed to binge drinking, which can result in a whole slew of party-ruining incidents, including: injuries both intentional and unintentional, alcohol poisoning, liver damage and neurological damage. As well, excessive drinking typically results in poor judgment, which could then lead to unwanted pregnancy or the spread of sexually transmitted disease and infection. Alcohol is also extraordinarily costly–not only for the one who will have to shell out the 15 or so dollars for a bottle of cheap tequila, but for the entire country. Binge drinking can actually cause the overall cost of alcohol to rise due to increased demand. In 2006, drinking too much cost the United States $233.5 billion from losses of productivity, health care, and crime prevention2. Yikes! So this Halloween, practice a little restraint, and keep in mind the effects that going overboard can have on everybody–including yourself, your family, and your friends, who will all want to see you alive, in one piece, and without a criminal record the next day. Basically, when it comes to parties, pretend you’re in a horror movie: after all, the masked chainsaw killer never goes after the one who’s sober enough to outsmart him.